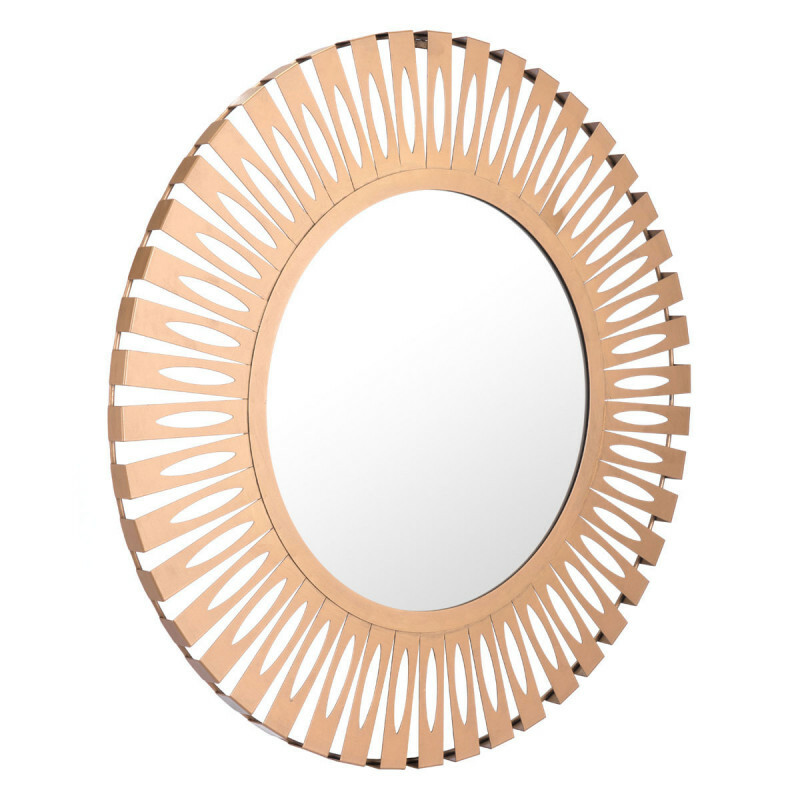 Bands of steel are wrapped around a round mirror to create this bold statement piece. 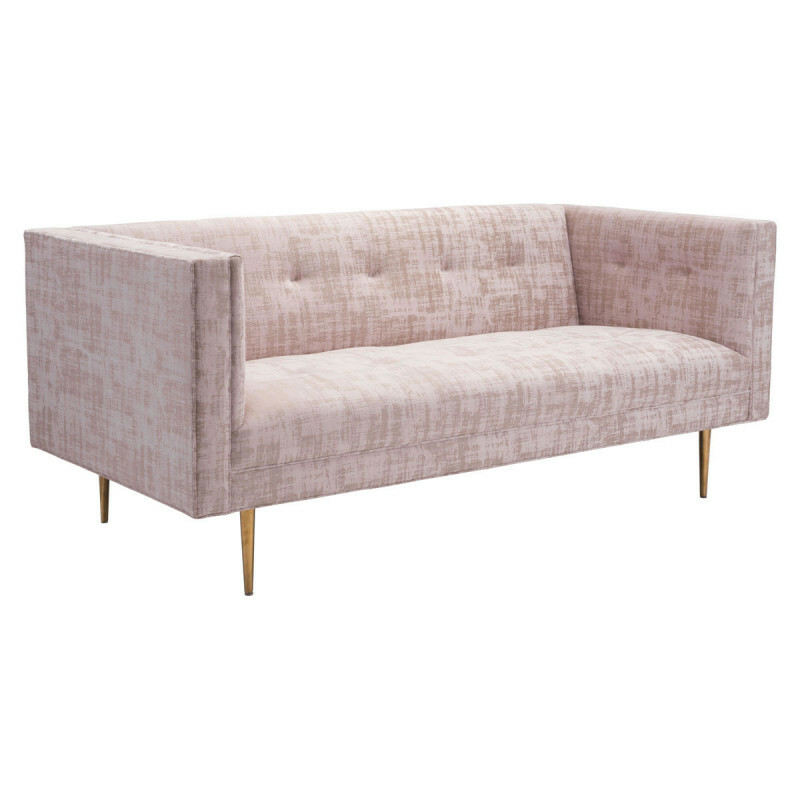 This mid-century design is wrapped in luxurious pink velvet to create an ultra chic sofa. 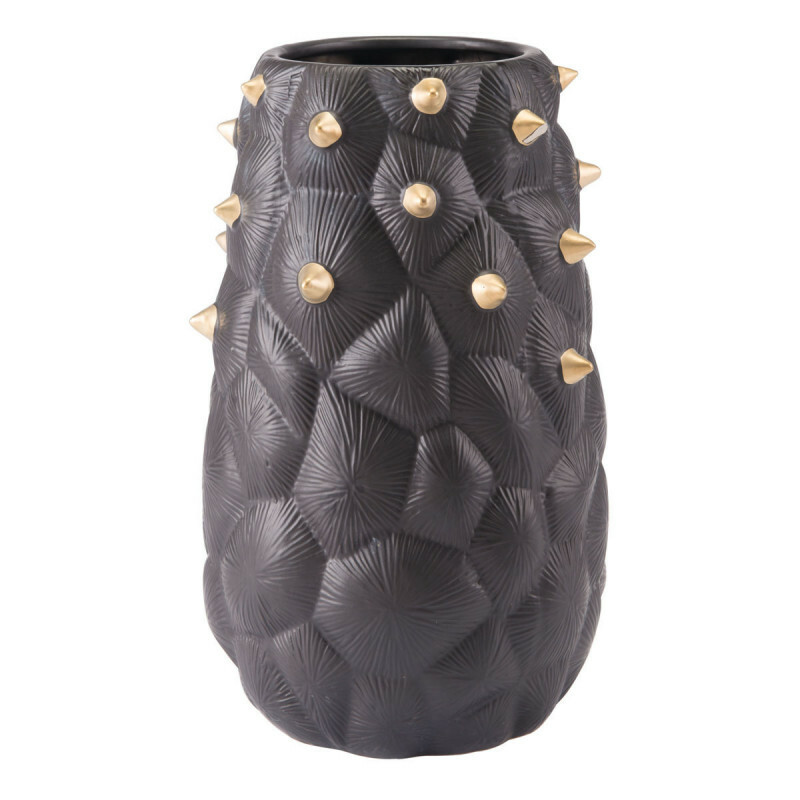 The modern cactus vase in dramatic black and gold spike. A designer favorite. 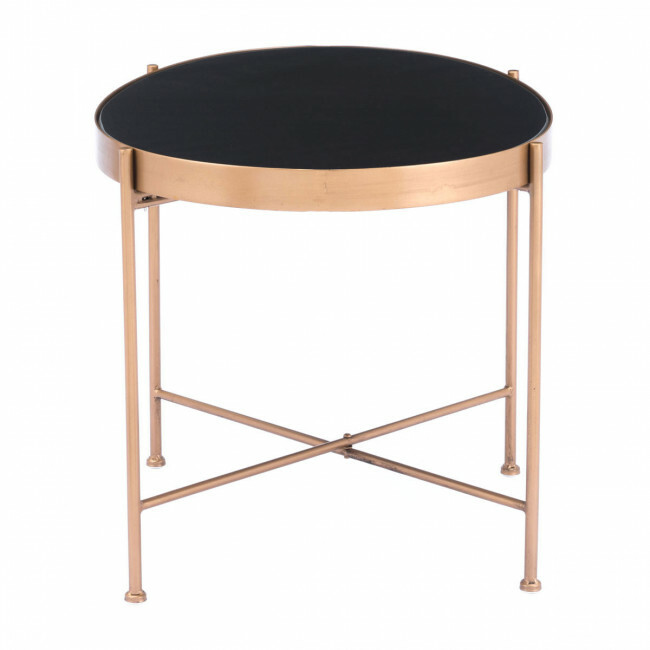 An elongated, organically shaped surface in black is surrounded in gold for a striking end table. Bold and playful. 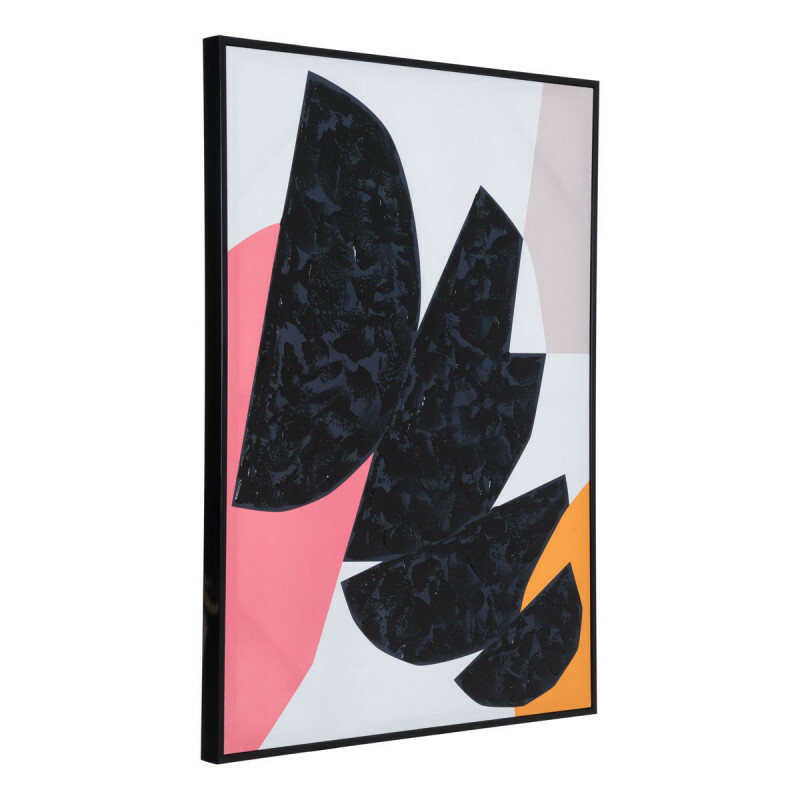 This abstract piece of art is a pop of color for any room in your home.